Connect your device with software via MAC machine. After connection select com port from connected device list. Selected device information is displayed on software screen. 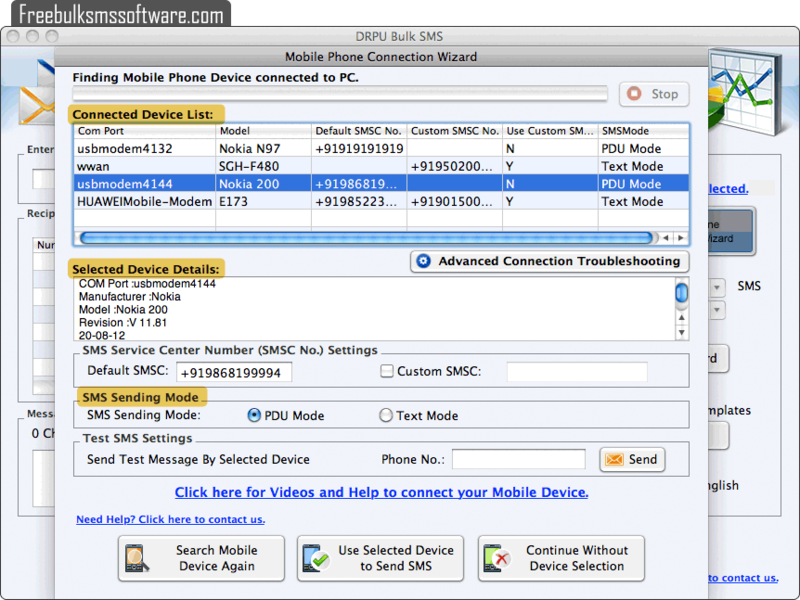 Choose SMS sending mode and click on 'Use Selected Device to Send SMS' button to continue. Load phone numbers file and add text messages that you want to send. 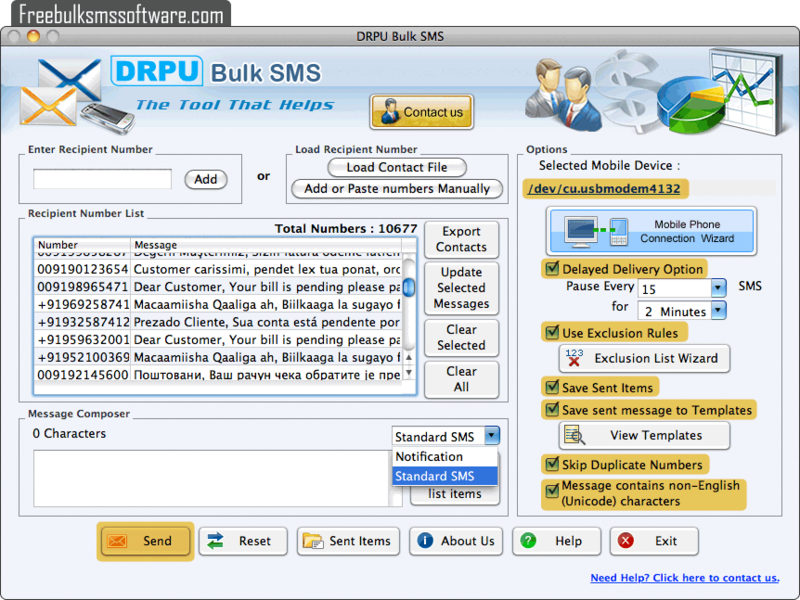 Software has various advanced features such as Exclusion list wizard option, delayed delivery, send unicode messages, save sent items, skip duplicate numbers and send SMS as standard message or notification. Click on 'Send' button to send text messages. 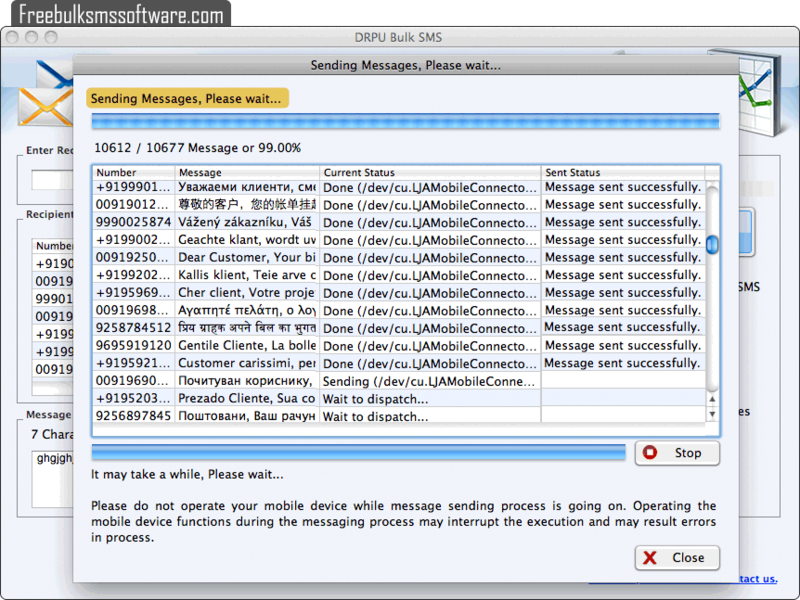 You can view current running status of SMS sending process.